When new particles develop in the atmosphere, this influences cloud formation and with that the climate too. 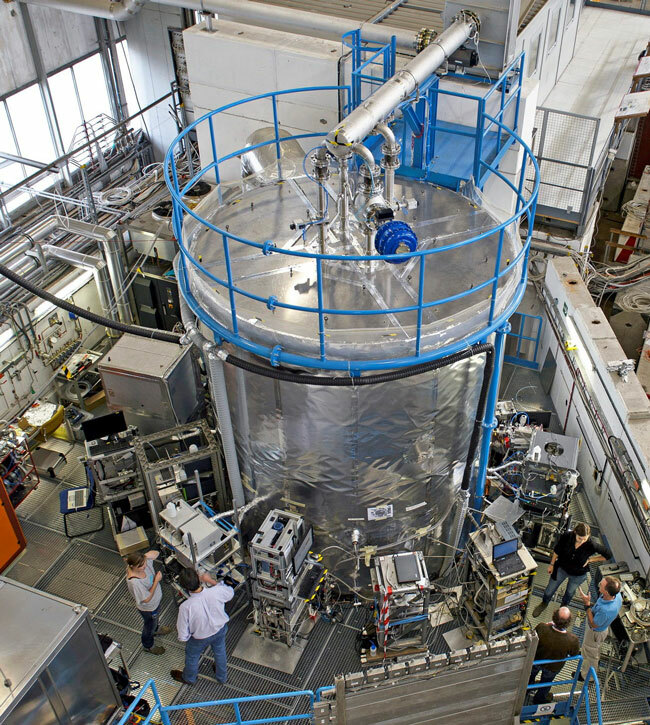 Since a few years, these complex processes have been reproduced in a large air chamber within the CLOUD experiment at CERN. Researchers have now used the results for the first time to calculate the production of aerosol particles in all the Earth’s regions and at different heights. The study published in the journal “Science”, in which researchers from Goethe University Frankfurt were involved, deciphers the role of the various chemical systems which are responsible for particle formation. They also determined the influence of ions which develop through cosmic radiation. CLOUD has also investigated how the 11-year solar cycle influences the formation of aerosol particles in our present-day atmosphere. The model calculations show that the effects as a result of changes in ionisation through the sun are too small to make a significant contribution to cloud formation. Although the ions are originally involved in the development of almost one third of all newly formed particles, the concentration of the large cloud condensation nuclei in the course of the 11-year cycle changes by only 0.1 percent – not enough to have any sizeable influence on the climate.